Tickets for potential American League Championship Series games to be held at Comerica Park go on sale Monday, September 26, at 10 a.m. ET. 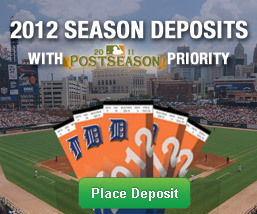 Secure your seats today and be at Comerica Park for potential Postseason baseball! There is a limit of four tickets per customer, per game. Tickets for American League Championship Series games are not available for purchase at the Comerica Park box office. All sales are final. Thank you for your continued commitment to the Detroit Tigers. We look forward to seeing you at Comerica Park in October! 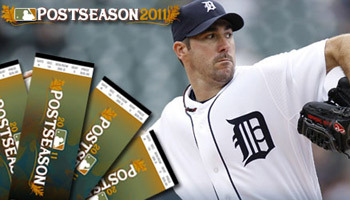 Register for your chance to purchase tickets for 2011 Detroit Tigers World Series games.